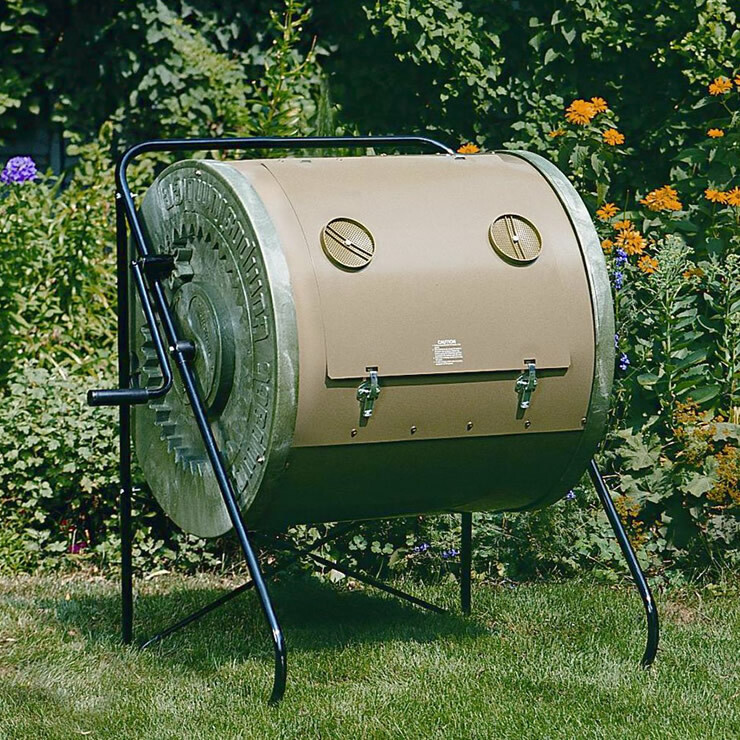 Makes compost quickly; in as little as a few weeks! 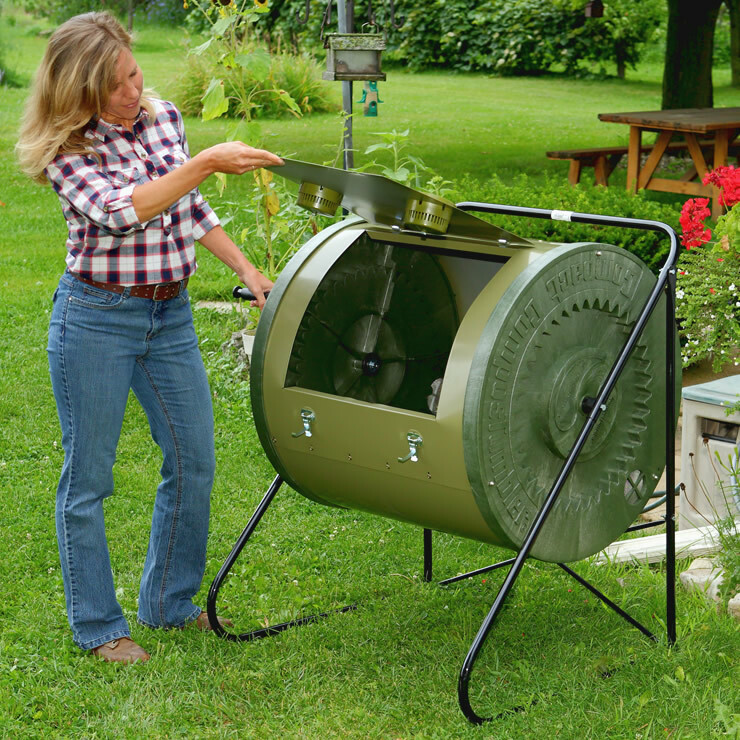 * The tried and true Compact ComposTumbler has been a mainstay in medium size gardens for decades. 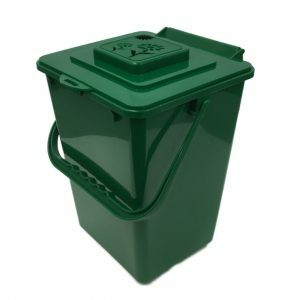 This compact compost tumbler features the same performance attributes of larger Mantis composters but in a smaller footprint. The Compact ComposTumbler delivers quick results and superior performance. Suburban gardeners have been relying on its unmatched compost-making capabilities for decades. 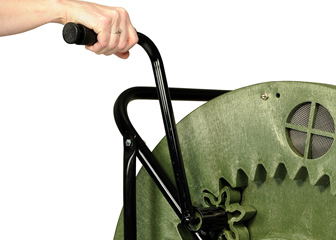 This indispensable addition to the garden makes compost in just a few weeks. 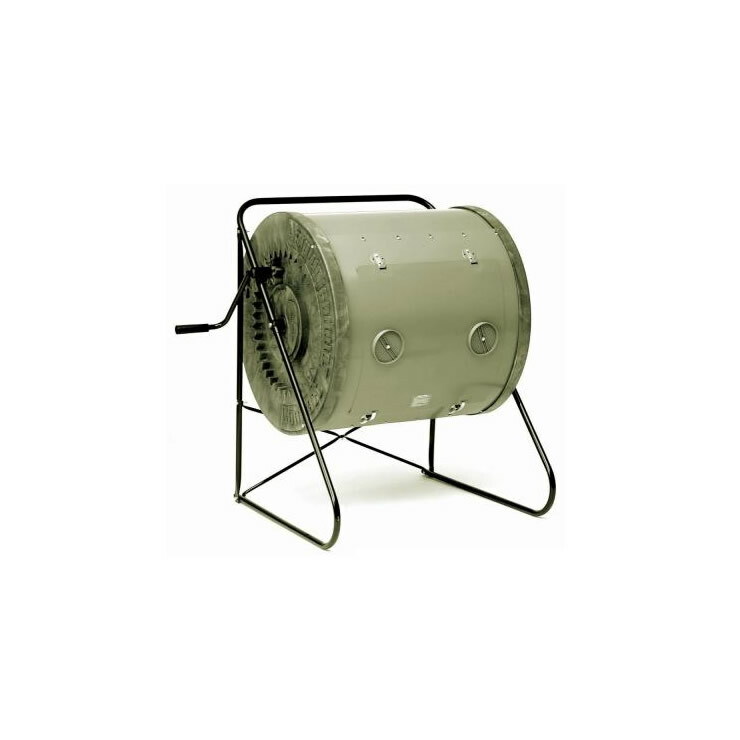 Compost tumbler is totally enclosed. 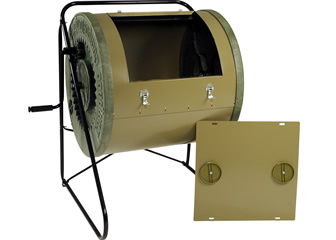 Features the same performance as the larger Mantis composters in a compact size. 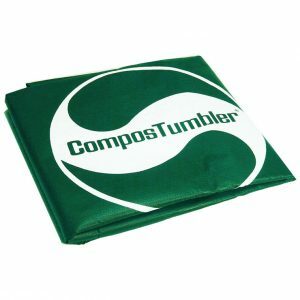 The rust resistant ComposTumbler design ensures years of dependable use, creating batch after batch of perfect compost. 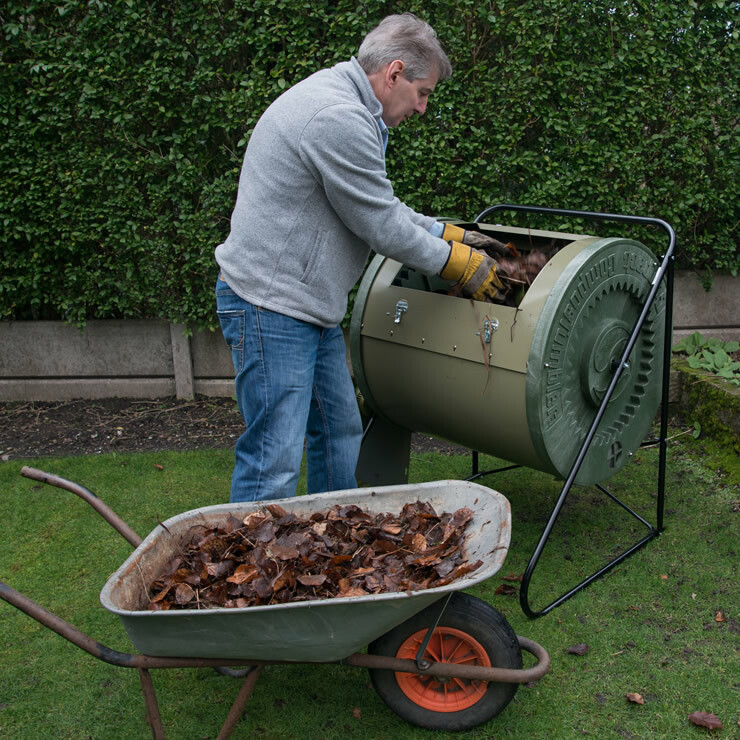 Rotating the compost doesn’t get any easier – just grab the handle and turn, even when fully loaded. Creating proper balance of heat, oxygen and moisture. Also makes it easy to collect drips for “compost tea”. 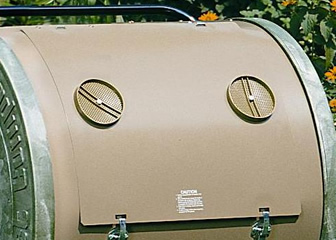 The perfect size composter for medium-sized garden spaces. You can be sure that your compost is thoroughly mixed. Just turn the composter and let the mixing fins do the work. No compostables will stick to the inside of the composting drum, creating faster decomposition. 12 cu. ft. Holds over 9.5 bushels (88 gallons). 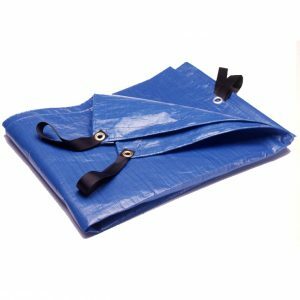 Up to three 30-gallon trash bags of material. 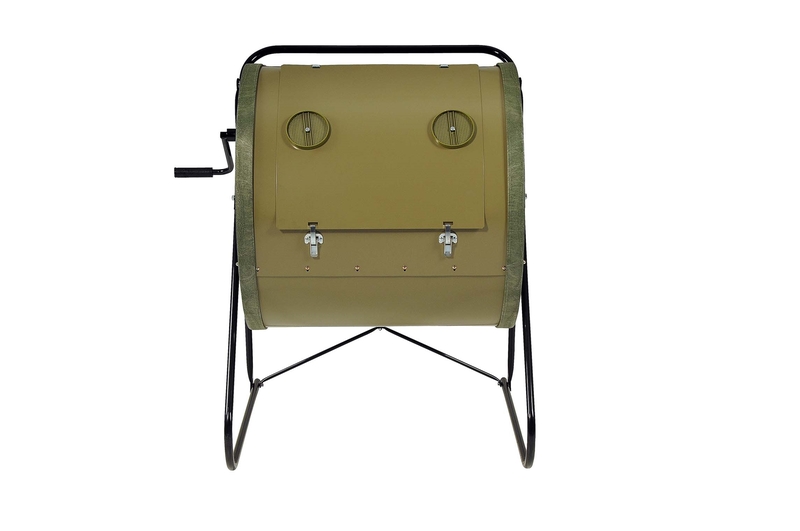 Non-toxic powder-coated galvannealed steel, rust-resistant. BPA-free, food grade plastic end caps. Finished compost in 4 to 6 weeks* | * Compost times depend on ambient temperature and combination of materials being composted.